When I got home from work today, the girls wanted to go outside and play. I happily obliged, as it has been a crazy week in he salt mines. My oldest got this “Power Wheels” for Christmas from my dad last year, but has always been scared of driving it. As usual, when she got to the end of the driveway, she freaked out and wanted to get out. Today her little sister slid over into the driver’s seat and more or less told big sis to hold her beer and went for it. I helped her figure out how to steer for the first 50 feet, and she had at it. 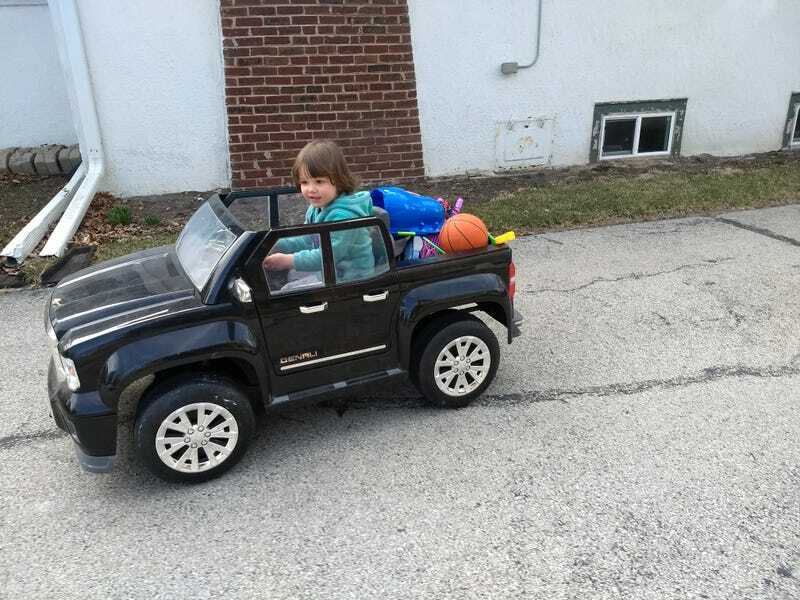 She drove it up the block and back three times, then parked it in the garage next to Mommy’s car. We got one Oppo. We got one. I’m so damn proud!